Member since July 31 2012. CeaseFire is an evaluated interdisciplinary public health approach to violence prevention. 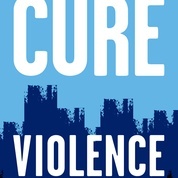 We view violence as a learned behavior that can be prevented using public health techniques. CeaseFire prevents violence through: 1) Detection and interruption of transmission; 2) Behavior change to the highest risk; and 3) Changing community norms.